This statistic presents the U.S. online user attitude towards website cookie usage. 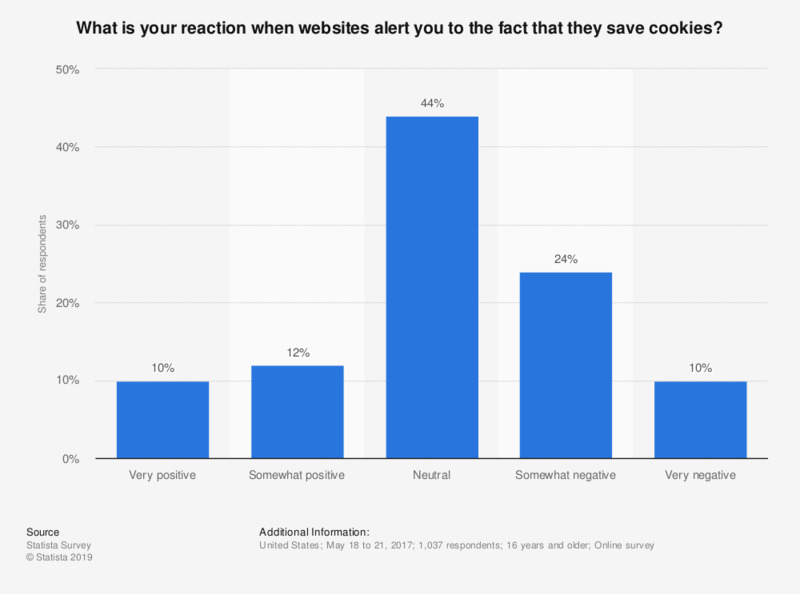 During the May 2017 survey, 44 percent of respondents stated that they felt neutral towards websites using cookies. Only ten percent of respondents felt very positive about this. Original question: What is your reaction when websites alert you to the fact that they save cookies?